After SR 11, we’re told to stay on 62 to access Interstate 64. 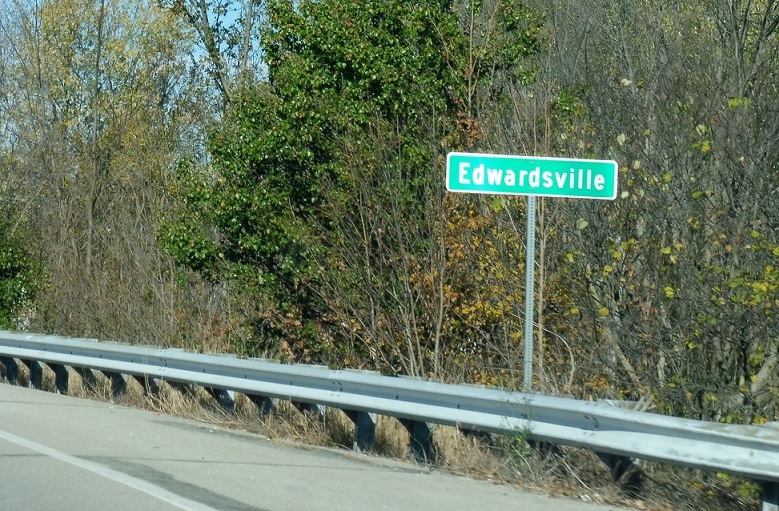 A couple miles later, we’ll pass by unincorporated Edwardsville. 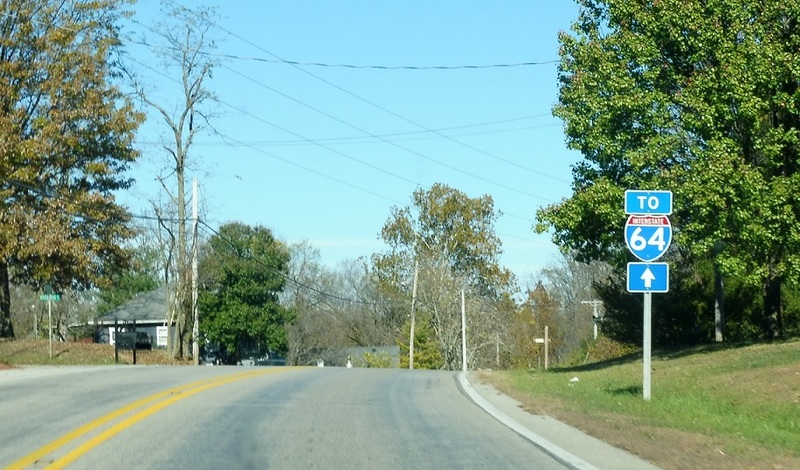 Just after that, we’ll come to a junction with both I-64 and Indiana 64, which is in no way confusing. 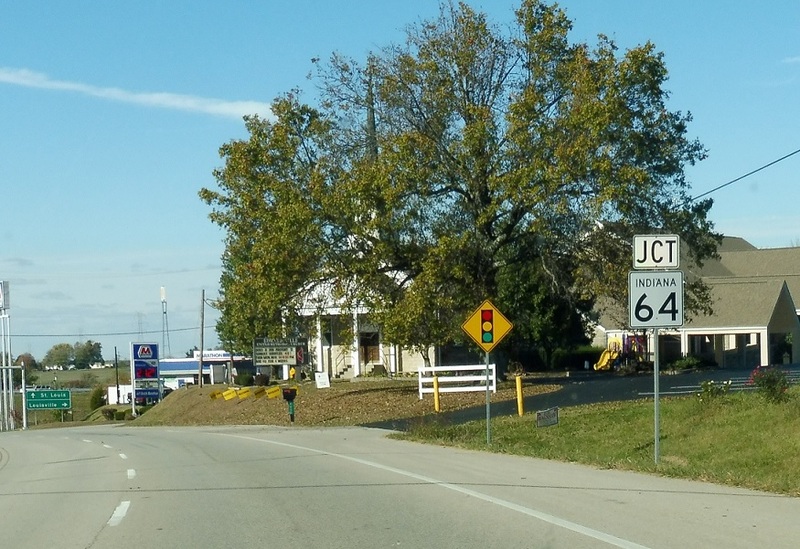 Junction Indiana 64 coming up. 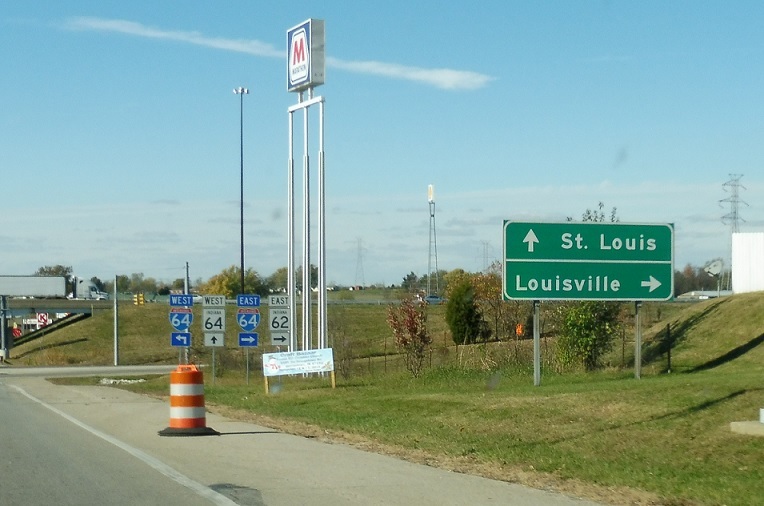 Follow I-64/IN 62 east to Louisville, Ky. Take I-64 west to St. Louis, Mo. 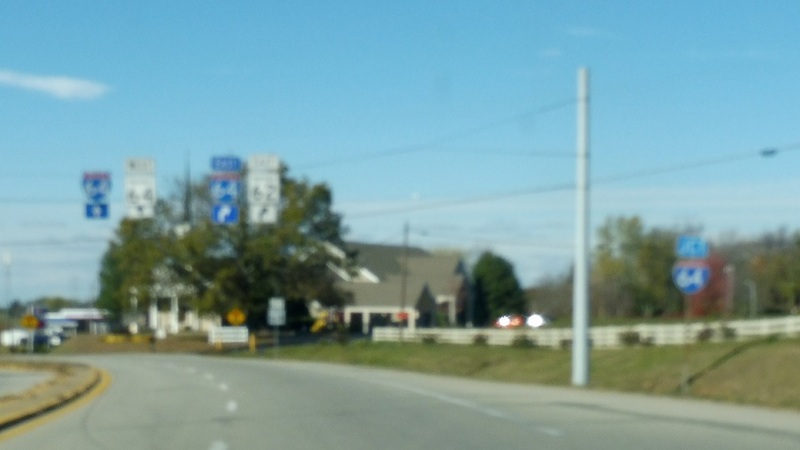 Turn right for I-64/SR 62 east. Stay straight and turn left for I-64 west. 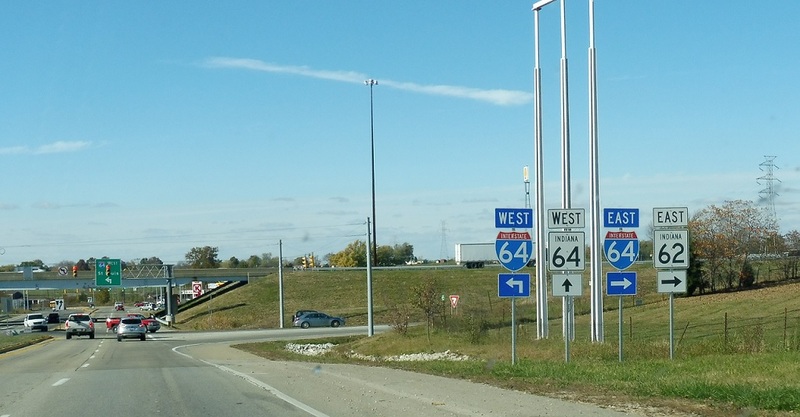 Stay straight for Indiana 64 west.